February's Love with Food box was a riot of color, healthy snacking, and Valentine's indulgence, all in one generously-stocked package. Just look at all those treats! It's no wonder this is quickly becoming one of my favorite sub boxes. Love with Food sends you organic, all-natural snacks each month, most of which generally aren't found in your local supermarket (unless your local supermarket happens to be Whole Foods -- then you might have better luck). They also donate a meal to one of several food banks for each box sold, which is awesome. 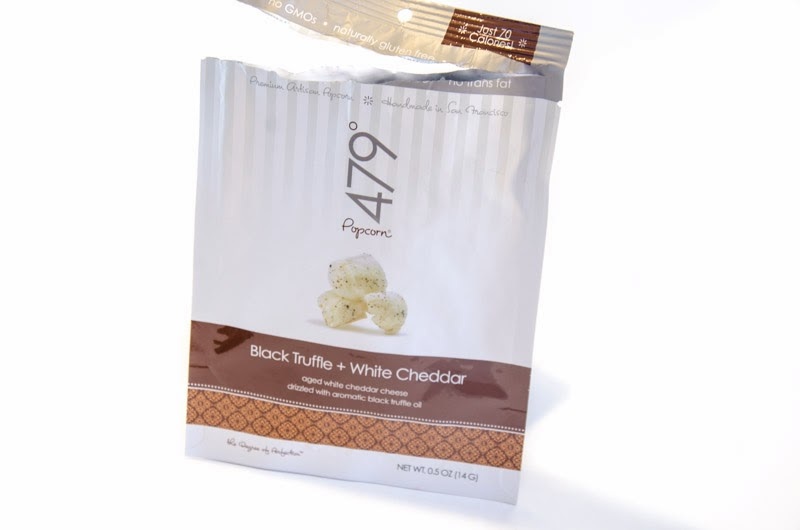 You have two sub options: sign up to get a Tasting Box for $10 a month and you'll receive eight or more snacks, or choose a Deluxe Box (that's my sub, pictured above and throughout this post) for $17 a month and receive double the snacks in the Tasting Box. 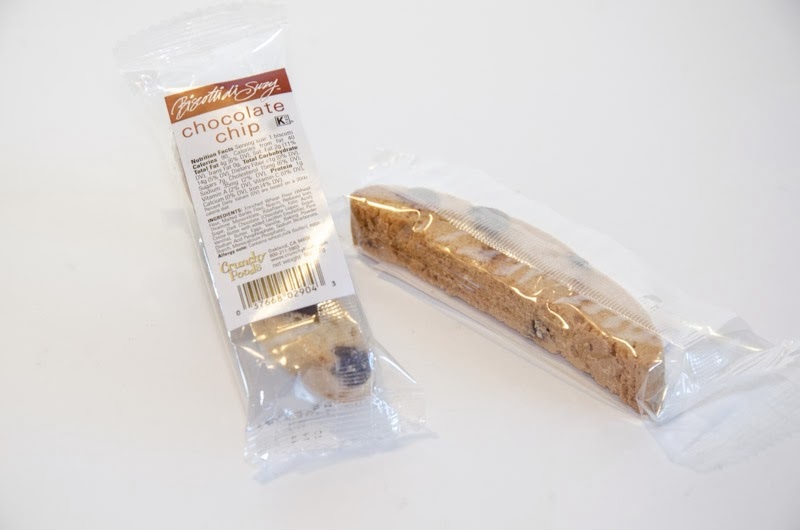 The individually-portioned goodies are easy to tote to work or stash in your bag for a quick pick-me-up or treat. And the Deluxe Box in particular is great for two or more people: you get to taste everything, but also to share the wealth with significant others or friends or co-workers. My boyfriend appreciates it! Each month's box is arranged around a theme, and February's was, as you can see on the insert pictured above, "A Kiss to Build A Dream On." The back of the insert, which we forgot to photograph (oops), lists and describes the contents of the box, and explains the month's theme thusly: "A kiss of chocolate, a kiss of honey, a kiss of salt - we dream in snacks, and our February box will have you doing the same." This translated into a well-balanced box, representing chocolate prominently (as any self-respecting snack box should during February, the unofficial month of chocolate), but featuring also plenty of savory snackage. 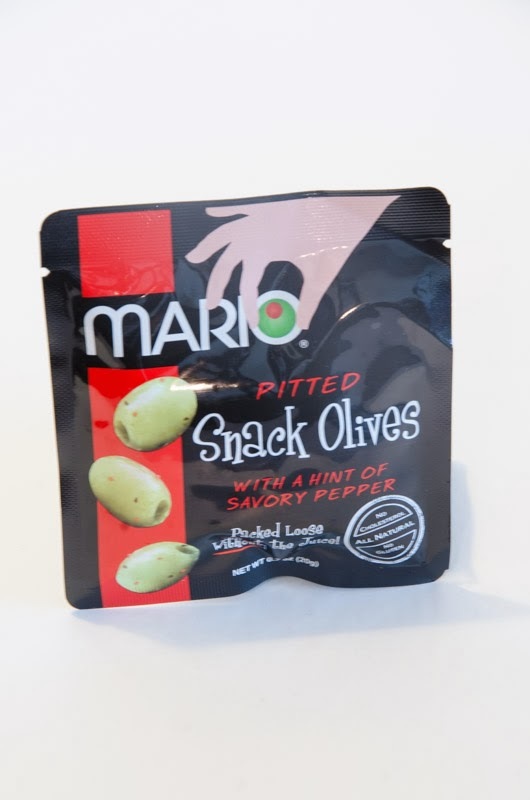 Snack olives by Mario Camacho in Hint of Garlic and Hint of Savory Pepper. Gluten-free snack packs. I was born and raised in Spain and, like any Mediterranean worth her salt, I love olives. I've eaten all kinds of varieties of olives in my life: fresh, canned, brined, you name it, but I've never actually encountered olives in a pouch. Super ingenious! Olives are a fantastic snack: they're super healthy and just fatty enough to be filling, but they've never quite been portable, because who wants to deal with the logistics of lugging around, opening, draining, and portioning out a can while on the go? So yeah, these pouches are brilliant. My box came with two: the Hint of Savory Pepper pictured above, and a Hint of Garlic we ate before we even had a chance to take photos. Couldn't resist! I can happily report that both flavors are delicious, and made excellent impromptu tapas. 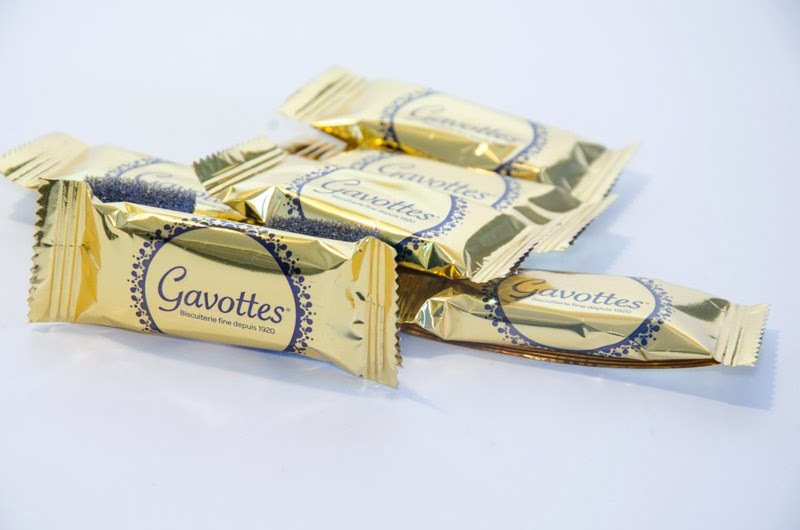 Gavottes Dark Chocolate Crepe Dentelle. These bite-sized, chocolate-coated wafers are so delicate and airy they're almost ethereal -- the definition of an amuse-bouche (mouth amusement), short-lived but yum. 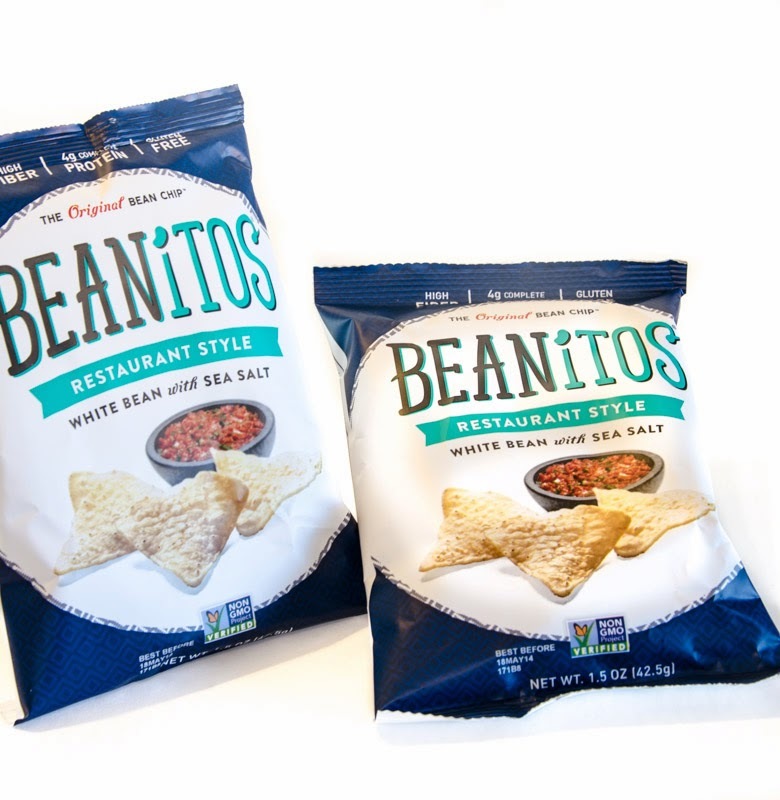 Beanitos Restaurant Style White Bean Chip. This was a box of discovery for me --so many products I'd never seen or heard of before,-- and this was hands-down my favorite. Oh my goodness these are good! These are tortilla-style chips, but made from beans instead of corn. I didn't even know that was a thing! The texture is amazing on these: super crispy and lacy, almost like layers of fried puff pastry dough. They're incredibly tasty and just salty enough. Amazing. 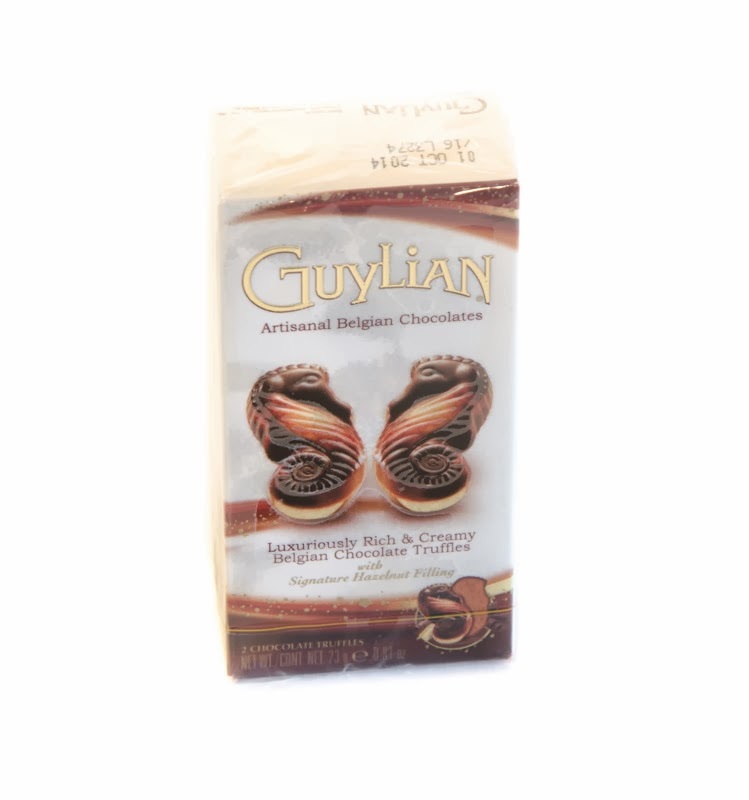 I looked for these in my local supermarket and they were nowhere to be found, so I'll have to stock up via Love with Food. Can't recommend these enough. We didn't even try them with dip! These were also a contender for favorite this month. 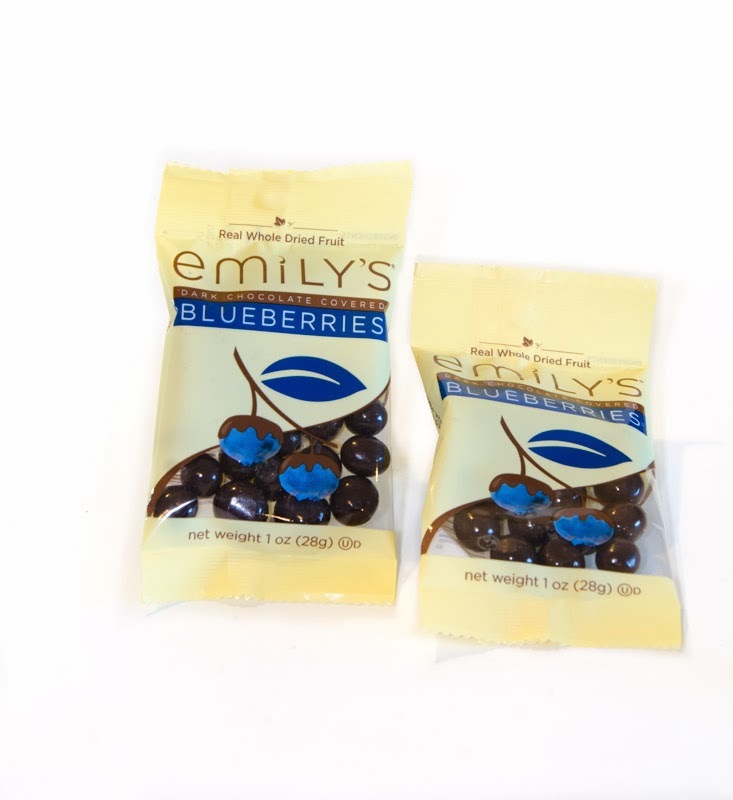 I love dried blueberries, but all too often they (and most other dried fruits) are pumped full of sulphites, which make them really difficult to digest and ultimately unhealthy. These babies, on the other hand, have none of that funky stuff, plus they're delicious. 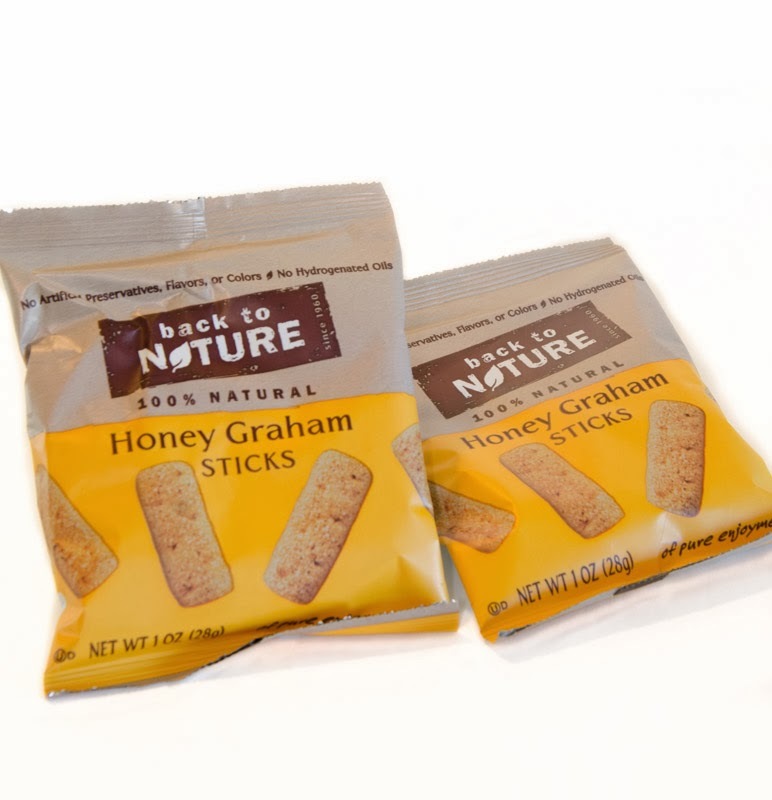 I've actually tried a few Back to Nature snacks before, and they've all been consistently good. These are no exception: while all other supermarket-veriety grahams are made with partially-hydrogenated oils and all kinds of unpronounceable chemical additives, these are made with safflower oil and sweetened with honey and cane juice. They also pass the all-important yum test, so: win! 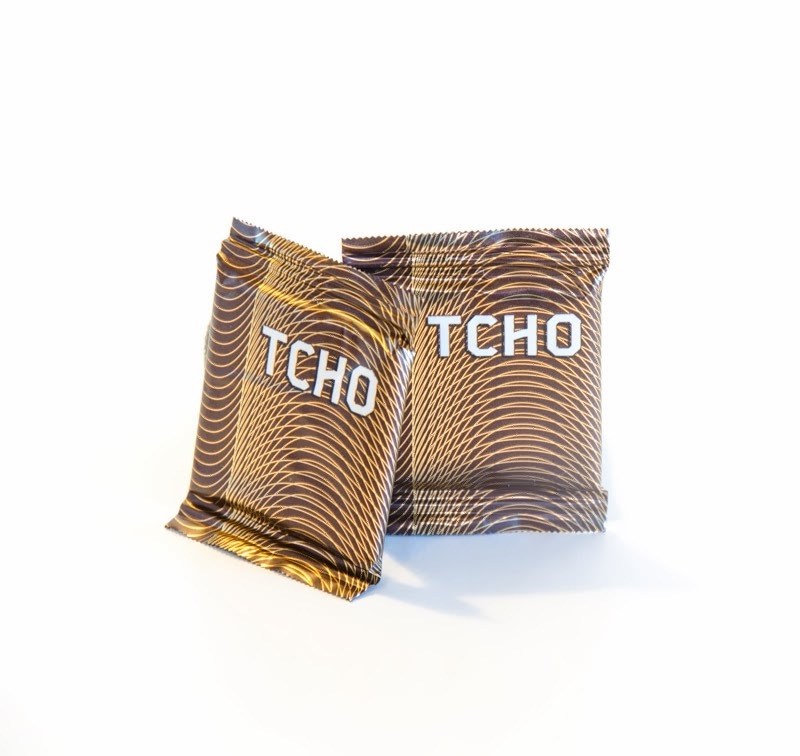 TCHO Pure Notes Dark "Chocolatey"
I'm not a dark chocolate person, so probably not the best to review the dark chocolate TCHOs. They were way too dark and bitter for me, but that's to be expected. 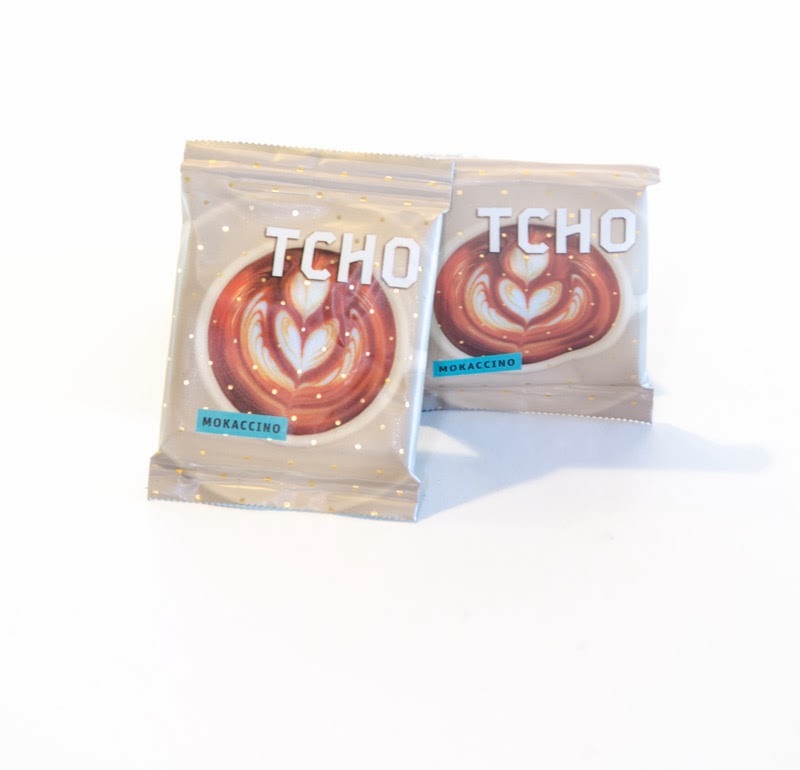 The Mokaccino TCHOs, on the other hand, were right up my alley: great-quality, creamy milk chocolate, not too sweet, with just a hint of coffee. A delicious treat. I'm not a huge fan of biscotti either, oddly enough. I usually prefer softer, moister baked goods, so maybe that's it. Still, through the years and the occasional biscotti, I've found they're vastly improved when dunked in a mug of hot coffee (what isn't improved by dunking, right? ), so I'll have to try that method when I sample these. They're made without the usual pieces of chopped almond (another pet peeve) and they're chocolate chip flavored, so they definitely have that going for them. We'll see. Don't ask me how I've managed to avoid trying these so far. The only explanation is we've had lots of sampling to do and birthday munchies to get through (lots of late-February, early-March Pisces to celebrate), because these look amazing! I've never met a truffle I didn't like, and don't get me started on hazelnut and chocolate together. It's just a matter of time before these adorable seahorse-shaped little treats get devoured. There you have it! 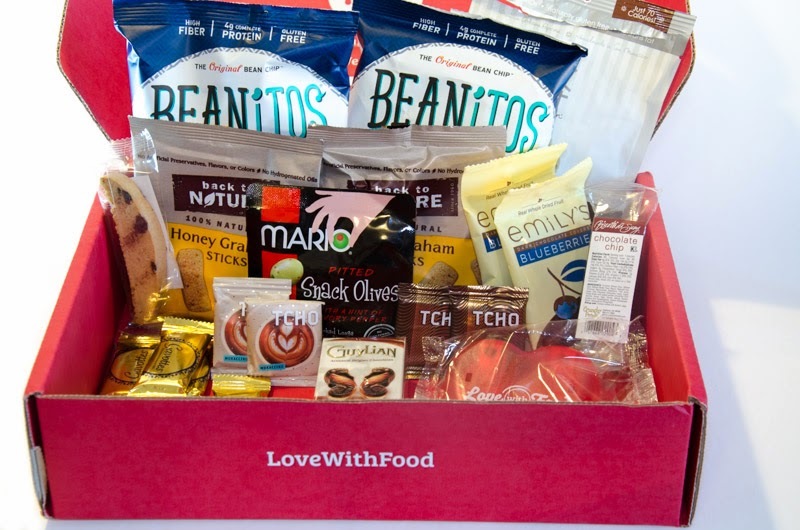 What did you think of this month's Love with Food box? I actually liked it better than January's version: this one struck a great balance between sweet and savory and featured quite a few totally new-to-me snacks that turned out to be delicious finds. What was your favorite item? If you're new to Love with Food and are tempted to join, feel free to click on any of the Love with Food links on this page to sign up: I'll get points to apply towards future boxes (thank you!! ), and you'll get started on your snack subscription. Also, if you use code FB7OFF to sign up for the Tasting Box, your first month will cost only $5! Yay half price!